Understanding Genetics: Human Health and the Genome is a free resource from Stanford University School of Medicine and The Tech Museum. There are online exhibits, news, activities, resources, articles, videos and much more about Genetics. There is even an "Ask the Geneticist" page with questions and answers. The topics include what are genes, diseases, mutations, medicines, news, and more. The activities and resources are very well designed, engaging, and educational. 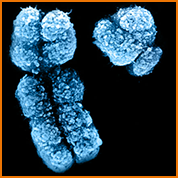 It is an excellent resource for teaching genetics and can be scaled for multiple grade levels.